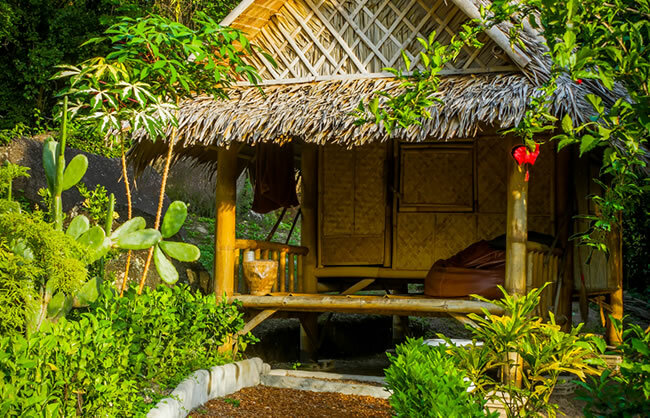 At The Earth House guests can enjoy a peaceful and relaxing stay within the local coconut plantations and tropical surroundings but with ease can walk to the nearby beaches and shops. 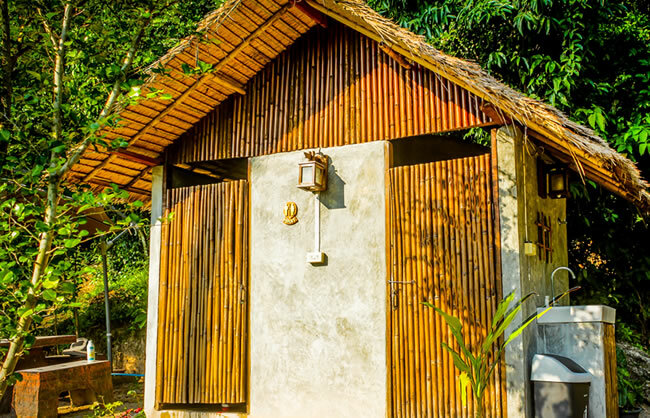 We are offering 8 traditional style single occupancy bamboo bungalows with shared bathrooms facilities at The Earth House. 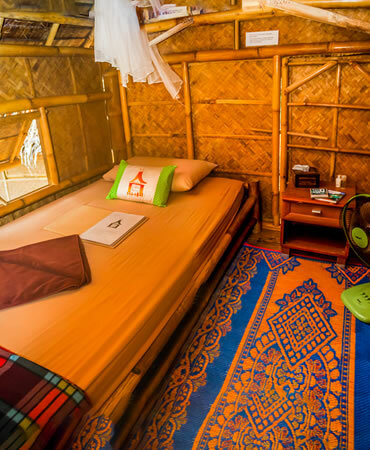 Built using tradition materials of Thailand allowing you a taste of the adventurous side of Thailand’s accommodation. 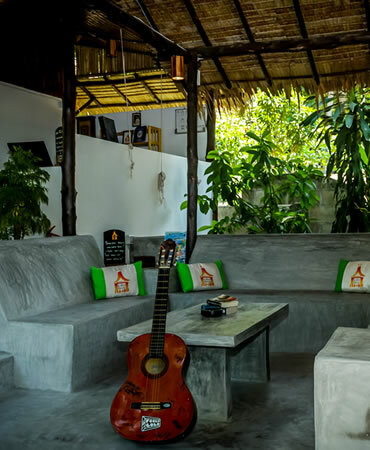 The main road through Koh Tao is just 150m away from the accommodation, here you will find amenities such as a supermarket, restaurants, bars, coffee shops, scuba diving centers, yoga classes, pharmacy, spa and massage treatments. Stepping out of The Earth House and turning left along the main road that leads to the east of the island you will find some of the most beautiful white sandy beaches with amazing snorkelling. Our nearest beach, Aow Leuk Bay is approximately 15 minute’s walk from the The Earth House and here you find a stunning beach with two restaurants looking out over the beautiful blue waters. Mae Haad pier is 2 minutes drive from The Earth House and Sairee Beach just 5 minutes drive away. We thank you for choosing to stay at The Earth House and we look forward to accommodating you on this beautiful tropical island. The price depends on the number of rooms - but can be as low as 11.500 baht per bungalow per month with longterm booking through TAOHUB.